Oh, this should turn out well: “Angela Gheorghiu has recorded a collection of French and Italian opera arias in tribute to the late Maria Callas for EMI Classics…. included are arias by Puccini, Gounod, Bellini, Leoncavallo, Saint-Saëns, Catalani, Bizet, Giordano, Cherubini, Massenet and Cilèa.” Which gives La Cieca an idea for a competition, after the jump. Cher public, in (ahem) honor to Mlle. Gheorghiu’s (ahem) hommage to Mme. 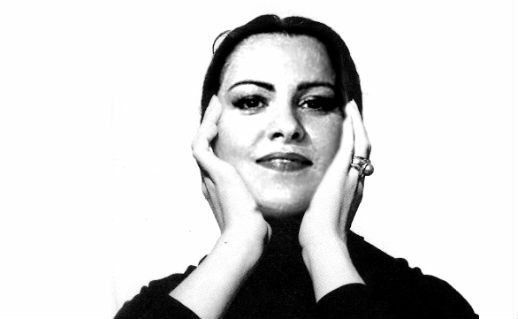 Callas, you are invited to follow La Cieca’s example above and introduce the Romanian diva’s face into an iconic photo of La Divina. Then, using the “Upload Files” section of the comments form, attach the image to a comment. UPDATED RULE: Please email your images to La Cieca at lacieca@parterre.com and she will insert them into a forthcoming posting. Prize packages consisting of a selection of recent Sony opera releases will be awarded to winners in two categories: Most Expert (i.e., best, most undetectable Photoshopping skills) and Most Scathing (which should be self-explanatory). The competition begins now and will continue through midnight, Saturday September 17, with the winners to be announced on Monday, September 19. As usual with these competitions, La Cieca’s whims are final.